Wilson 801262 DualBand DB PRO – New Dual Band Repeater Announced! 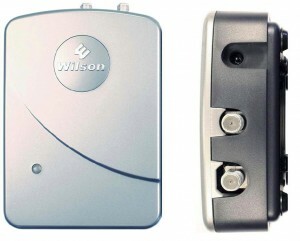 Big news from our friends over at WilsonElectronics.com. They have developed a new dual band kit, a high powered version of the SignalBoost DT. At 60-65dB, this is by far the most powerful Wilson dual band amplifier to date, and with internal/external antennas it can give up to 5,000 sq ft of wireless coverage. The amplifier and kit are scheduled for release by the end of March 2009. Unlike the original SignalBoost DT, the DT PRO will be available either as an individual amplifier, or as a packaged kit. Having the amplifier sold individually allows a great deal of flexibility – allowing customers to use existing antennas/cable, or choose from the wide range of Wilson antennas. Wilson 841262 SignalBoost PRO DT Kit – This will be a full repeater kit, with both internal and external antennas, and the coaxial cable needed. Details of the exact antennas used are still being finalized – check back later! With 60-65dB of power it is the strongest dual band repeater on our site. The amplifier also has 33/34 dBm of output power, the highest of any of our amplifiers, providing more power to cover more networks and users. There will be two versions of the Wilson 801262. The 271247-75 will have 75 ohm of impedance on both the internal and external antennas. The 271247-50 will have 75 ohm of impedance on the external antenna, and 50 ohm on the internal antenna. The 801262 continues Wilson’s trend of moving towards 75 ohm on their building amplifiers, allowing customers to use standard satellite coaxial, which is both low-loss and inexpensive. The difference in impedances on the internal antenna will allow customers to use existing Wilson antennas (which are 50 ohm), or use a new antenna with satellite coaxial (75 ohm). Wilson will be releasing a number of 75 ohm antennas to go with this new system.